Sadie Jones talks about her supernatural Edwardian comedy, THE UNINVITED GUESTS. And Sabina Murray discusses her collection of historical short stories about explorers, exploiters and adventurers, TALES OF THE NEW WORLD. British novelist Sadie Jones is known for her historical fiction — her first two novels, The Outcast and Small Wars, take place in the 1950’s. While different in their themes, they share a tragic sensibility that explores the dark corners of the human psyche. Her new novel, THE UNINVITED GUESTS is a more comic take on those dark corners — and goes a bit further back in time. It features a slightly eccentric family living in a country house in England at the turn of the last century — the same Edwardian Age and setting in which the PBS series Downton Abbey takes place. The conventions of middle-class English manners are revealed as too flimsy an overlay to hide the filthy passions and cruelties that seethe underneath.” The cruelties, I may add, that all flesh is heir too, even when the flesh itself is decomposing. Sadie Jones writes fiction in the UK. Her novel Outcast was a finalist for the Orange Prize for fiction. A movie version is in the works. 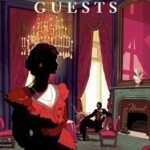 Hear the 2010 WV interview about Small Wars and read a passage from The Uninvited Guests. Many have pointed out that all memory is fiction. Could we also say, “all history is fiction?” History tells a story — and stories are how we humans make meaning. 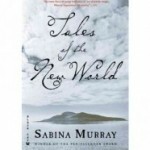 In her collection of stories, TALES OF THE NEW WORLD, Sabina Murray, mines the rich lodes of history and fiction to extract the golden ore of meaning. 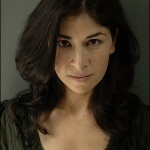 The subjects of her stories are those who set out to discover, conquer, and exploit the territories of The Other. Magellan is viewed through the lens of a scholar and companion who lusts after him, yet is unable to save him from himself. The English explorer Mary Kingsley is beset by selfish relatives and vindictive fairies in England but finds her real home in Africa. With her signature blend of sophistication and savagery, darkness and humor, Sabina Murray investigates the complexities of faith, the lure of the unknown, and the elusive mingling of history and legend. Murray is the recipient of several awards, including the PEN/Faulkner Award for Fiction. Tales of the New World is her fifth book. 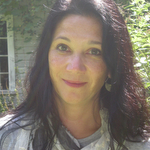 She teaches fiction at the University of Massachusetts-Amherst.